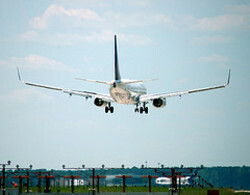 One of my favorite readers noted that I've been spinning an awful lot of negative air travel stories lately. So out with the whining, in with the ... shining. As in sunshiney, cheery, happy David. I recently came across an article in Lodging Magazine describing a variety of new lodging concepts that are in development by the large chains. Each is a new franchise/chain vision that is geared toward Baby Boomers and Gen X travelers. They aim for higher style than your typical mid-range hotel, with solid business amenities and an affordable price. The most interesting of these concepts is aloft, the new brand being developed by Starwood, under it's hugely successful W moniker. Click here and take the aloft tour. It's pretty cool, and given Starwood's history of executing, I think we can expect something close to their current vision. Here is the description of aloft by Philip Hayward of Lodging. Carrying the DNA of W Hotels, a hallmark of the aloft concept is the loft-style guestrooms. The bright, airy environments offer 9-foot ceilings and oversized windows. With a combination high-tech office and entertainment center, each room has a large flat-screen television, plug-and-play, aloft¹s one-stop solution incorporating power and audio/video connections for multiple electronic gadgets, Wi-Fi Internet access, in addition to the guestroom centerpiece‹a signature, ultra-comfortable bed. Large, stylish bathrooms feature oversized walk-in showers and amenities created by bliss. Exposed beams and blackened steel complete the urban, loft-like environment. Starwood created aloft to be relaxing and inviting day and night, featuring a variety of social venues where guests can gather. The relaxing, social lobby area and wxyz bar provide space to grab a drink with friends, read the paper, or work on laptops via the wireless Internet access. re:fuel offers 24-hour food and beverage. Each aloft hotel features flexible meeting and function space. Hats off to Andrew, who correctly guessed that my fine hotel in Vienna stocks its bathrooms with Bulgari amenities. And shame on Barbara, who belittled me (privately) for lowering the standards of this blog with talk of bath products. Bath amenity one-upsmanship is one of the great joys of travel. Scolding aside, Barbara can offer you a great deal on Avon, as can her son, Billy. My work lunch was a 6-courser with the hotel's Asst. General Manager. It started with Champagne and ended with ice wine. Turbot, caviar and venison in between. Oh, and flash-fried elderberry blossoms and ice cream for dessert. If you're ever in Vienna and want to drop a few bucks, I can highly recommend the restaurant Korso. After finishing my work day, I took my friend Trey's reco and headed to the Leopold Museum for a massive dose of Schiele, a never-enough dose of Klimt, and all sorts of other great 20th Century Austrian works. While I was on the street, I snapped the picture to your left. Partly because it brought me and Condi so close. And partly because it's one of those shots I can't get in New York City. For now. Vienna. I'm not sure how I'd missed it for so long. When I came to Austria in 1979, I only went to Innsbuck. I guess that's because I'd been so into the 1976 Winter Olymipcs. From the little of Vienna that I've seen so far, I like it a lot. It's pretty stunning: high on charm and grand 19th century buildings, many rebuilt since the war. Not chic or happening, but defintely alive. Work is going really well ... I managed to plow through the jet lag and go straight from my overnight flight to 5 hours of meetings. NEAR BRUSH WITH CONDI: The U.S. and its "allies" (using the term very lightly) are trying to get Iran to the table to talk nukes. Where have they converged to strategize? Vienna. Where am I? Vienna. Where are we both staying? 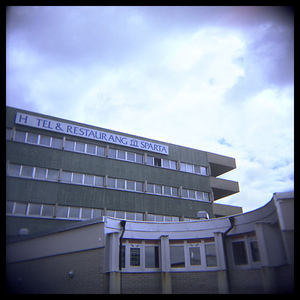 At the Bristol/Imperial hotels. I missed seeing Condi in the flesh by about 2 minutes. But we kind of brushed paths – I had to shift one of my meetings so that the hotel staffer could attend to her needs first. W-ever. ACTUAL BRUSH WITH HENRY: Yes, I passed Henry Kissinger twice today in my hotel. He looks fantastic. Short, but really robust and together. I didn't tell him "You're Awesome!" like I told Liza, but then again, he's a Republican. 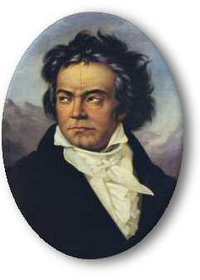 FANTASY EVENING WITH LUDWIG: Better than either of these brushes with fame, I had the enormous pleasure of hearing the Vienna Symphony perform Beethoven's Ninth tonight, from an orchestra seat in the sold out Musikverein concert hall. (Thank you concierge at the amazing Hotel Imperial!) I'm telling you, God was in the house. It was one of those travel experiences where it all comes together and you're just floating on air. Over 100 musicians and singers. A breathtaking, historic room. One of the greatest pieces of music ever created. All in the heart of Vienna. This was the kind of day this made me remember why I've spent my whole career in travel. Special call-out to my friend Al, who pulled me in on this project and got me here. You rock. 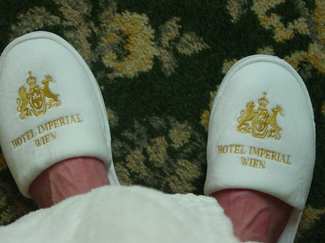 I just arrived at the Hotel Imperial in Vienna, a grand dame of a hotel if ever there was one. Easy flight over on Austrian Airlines. It was a strangely robotic and virginal-looking crew ... but I was under the spell of Lunesta, so it didn't matter. I gobbled up a cheese, salami and ham (yuck!) breakfast while in that early-wake up/no memory zone of sleeping pills. 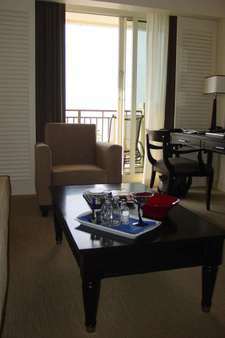 I'm settled into a HUGE suite. Think bedroom, living room, main bathroom, small bath for toilet and bidet, and entry hall. I took a quick shower and am sitting here with my plush hotel slippers on (above), protecting my shockingly veiny (well, shocking to me) feet. I'm off to a day of meetings, then have the evening to myself. Question of the day: What brand of bath product does the Imperial feature? Based on my last couple days' journey to Ft. Lauderdale, here are a few things that made me happy on this trip. In deference to my father, I will not log a list of complaints. Congratulations to Sean, who correctly identified my location from the map on yesterday's post as Ft. Lauderdale. The "Broward" county wording should have made it clear that it was not Miami (which is in Dade county). The picture on the left is from my living room, here at the Atlantic Hotel. I'm visiting a bunch of luxury-category hotels for a consulting project. And though I shouldn't reveal much about the project itself, I do want to point out that I experienced a new level of luxury service when I arrived in my suite and was greeted with ... all the fixin's for making a sour mango margarita! Yes indeed. If you look closely at the picture on the left, you'll see the set up when I arrived in my "suite." A tray with two martini glasses, a shaker full of ice, mango juice and margarita mix in a blown glass pitcher, and two small bottles of Ketel One vodka. Now that's what I call a warm welcome. I only wish one of my faithful blog readers was here to share it with me. And that I was more of a drinker. Next stop ... home to the famous Sacher Torte. Quick post. One of my internet lodging news sources reports that Nicki Hilton – the 22 year old hotel heiress and sister of you-know-who – is exploring the creation of a chain of hotels. Given her shopping proclivities, I think we can expect a new level of meaning to the term "boutique hotel." Here's Nicki, clearly on vacation. Next week I'm heading to San Francisco to spend a few days with my friends there. In honor of this jaunt I've decided to revisit my series on great hotel stays. 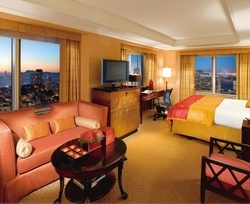 Up today: the Mandarin Oriental in San Francisco. 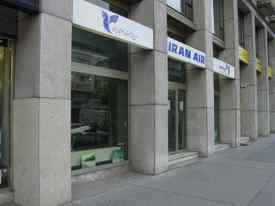 Back in my corporate AmEx days, this is where I always stayed. I was able to tap into a ridiculously low travel industry rate of $100 a night. If I tried to book a room there for next week, the entry level rate is $392. But what a $392 a night room! The Mandarin sits on the top floors of one of the SF's tallest buildings, and every room feels like it's floating above the city. And if there's a city you 'd want to feel like floating above, this is it. Most of the bathrooms have windows along the tub, so you sit in your bubble bath and ... magic. Now given the number of amazing hotels in San Francisco, you really don't have to spend this much for a great night. But if money is a minor object, do it. 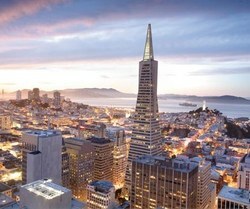 Looking for other great SF hotels? Here are some of my favorites. The Rex (affordable and stylish), The Adagio (affordable and cool), Nob Hill Lambourne (relaxing and way comfortable), Park Hyatt (expensive chic) and the Parker House (Gay B&B). It's interesting to me that hotel restaurants are becoming a bigger thing in travel. I live in New York City, where there has never been much of a connection between restaurants and hotels. In fact, I've always felt that the last place I'd want to eat in New York is where tourists or business people are coming and going (notable exception: Carnegie Deli). But I also briefly lived in San Francisco (2000-2003) – inarguably one of the world's great food cities and a place at the forefront of the restaurants-in-hotels trend. Maybe it's because I'm a New Yorker, but I never really enjoyed eating in San Francisco's hotels. 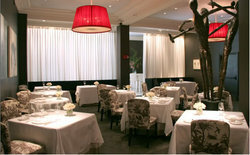 In fact, none of my favorite restaurants in SF are in hotels: Delfina, The Slanted Door, Greens and La Taqueria. So I took notice of an item in USA Today reporting on a special Zagat's survey which the paper commissioned, ranking the 100 Best U.S. Hotel Restaurants. Twenty on the list are in California, followed by 13 in Massachusetts (?! ), 11 in Nevada (?!?! ), 8 in Texas (?!?!?!) and 6 in Florida (?!?!?!?!). The only hotel restaurant on the list at which I've eaten dinner (I've had breakfast at several), is Masa's, accessed through a separate entrance of the Vintage Court Hotel in San Francisco. It is amazing (picture on left). Nonetheless, given the choice, I'm sticking with my stand-alone, hotel lobby-free favorites. You? One of my new favorite blog readers is Andrew. Why? Because we've never met, and he still reads Upright & Stowed! Thanks Andrew. 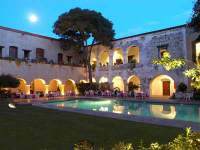 Andrew commented on yesterday's post, which introduced this series on Great Hotel Stays, mentioning the Casa de Sierra Nevada Quinta Real Hotel in San Miguel de Allende. I've been to San Miguel once and loved it, though I did not stay at the Casa de Sierra Nevada. Looks great though. Thinking of non-coastal Mexico brings me to a great hotel I visited on a trip to Oaxaca. If you've never been to Oaxaca, put it on your list. It's amazing. 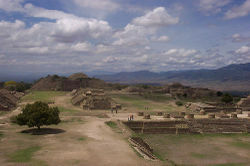 A very colorful, culture-rich regional capital and not far from the amazing ruins of Monte Alban (see pic above). And if you make the visit, try to stay at the Oaxaca Camino Real. This hotel is actually a converted 1576 convent, and it is totally magical. Walking around the courtyards totally transports you to another time, and it's just off the main Zocalo, or central square. Rooms are in the $250 range, and totally worth the splurge. You should spend 3-4 days in Oaxaca. It's a perfect trip to pair with 4 days in Mexico City, which is not for everyone, but I love it.